Your NBC Gold Map Olympic journey begins here! Are you just as excited about the 2016 Rio Olympic Games as we are? 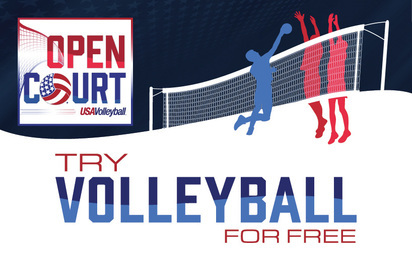 We would like to invite you to participate in USA Volleyball's Open Court Initiative, a part of the NBC Gold Map program! On Saturday, August 27th, USA Volleyball will be holding events around the country in which anyone can come and experience volleyball for FREE! This includes indoor, beach and sitting events! We will have plenty of opportunities in Florida, so whether you are a participant who is looking to try volleyball for the first time or an existing organization who would like to help us run a free volleyball event, all of the info you need is below! ​We hope to see you on the court! Thanks for your interest in our Florida volleyball Gold Map initiative! ​volleyball in your area! You'll find a list of venues here. want to ​HOST a free volleyball event in your area!